SmartSpace Software PLC (LON:SMRT) Chief Executive Officer Frank Beechinor caught up with DirectorsTalk for an exclusive interview to discuss the progress of SwipedOn, two new contract wins, new Board appointments and what to expect in terms of news flow. Q1: Frank, it’s been a busy few weeks since we last spoke to you regarding Smartspace Software’s interim results and the acquisition of SwipedOn in October. Can you update us on how the integration of SwipedOn is going? A1: Yes, very good. The guys have settled in well, the employees seem happy, the management team is very happy and focussed on the job in hand which is basically growing the customer base and additional functionality. When we announced this deal originally, one of the things we said to shareholders was that we are keen to accelerate growth by getting more customers and have more modules to sell to those customers. All that work is progressing very well. We’ve settled into a management routine with them, as you know they’re in New Zealand so 12,000 miles away and half a day in time zone but that seems to work quite well with management calls on Monday morning and Thursday evenings are our time. We’ve been able to work closely with the business in that respect. So, all going well, we’re only a couple of months in now and I think most investors will be wondering ‘have we found any funnies since we bought the business’ and the answer to that is, we haven’t. That’s always the expectation around acquisitions so what we’ve got is what we signed up for before we did the deal. So, very happy and hopefully, from what they’re saying, the people down there are very happy as well and we’re all working very well together. Q2: You’ve announced two significant contact wins, Evoko and a contract with a leading international bank, can you provide some details on both of those for us? A2: Evoko is quite a strategic one for us because it’s giving us access to an indirect channel, it’s got a few hundred dealers around the world who we want to sell our technology to. This deal we announced relates to the current generation of products which is called the Liso and we’ve created an Evoko branded version of our Calendar Add-On products that integrates with Liso. What it means is a company who might already have 10 Liso panels installed, it allows them to drive them panels from the employees desks via an app. So, it sort of turns what is a semi-intelligent panel into something that’s very very useful and obviously gives us access to install a base of customers around the globe as well as new customers coming down the line. Of the few hundred dealers they have, there’s probably about 20 or 30 that you would class as system integrators where they have the in-house implementation expertise combined with the ability to resell etc. and they’re the ones we’re going to focus on. So, strategically very important because it’s a fast-track way of building a channel that’s in the market that we actually want to access so a really good deal for us. When a deal gets sold, we get paid a fee per month per meeting room and we obviously can’t disclose that under the terms of the RNS as per agreement with Evoko. If we get it rolling correctly, then the address book market is significant, it runs into hundreds of thousands of installed sites plus any new ones that are added. So, very excited about the Evoko deal. The second deal, obviously, was the one we announced the other day, a major bank. We’ve been part of a process for quite a few months, we’ve already started work on deploying and it’s a big deal for us. They’re in about 350 locations across 54 countries and they’ve got significant numbers of employees, I think in the RNS we quoted 86,000 employees, over 2,000 meeting rooms. The deal structure is quite straightforward, we get paid a licence for the platform then we get paid professional services fees to do the implementation and the build because this business has got quite a few demand that are unique to them. The last bit is that we get paid a SaaS revenue for each component part that they use so if the employee uses an app, we get a fee per employee per month and equally, the same holds for meeting rooms or desks, whatever part of the platform that’s rolled out across their network. So, a great deal in overall terms, a great validation of our tech and it’s a great alignment between us and this client in terms of our partnership going forward. We’re working very very closely together and getting on really well and we’ve got a really good team of our guys on theirs. As you would imagine, it forces us to implement process that we wouldn’t have had to implement had we not had a deal of this size at this stage. It will be good for the business in the long run because as we sign up other deals, it’ll mean we’ve got a more evolved deployment methodology etc. So, yes, a great deal with us and very positive, not just in terms of revenue today but also in terms of downstream revenue because it’s a 5-year deal as we put in the RNS. Q3: Now, you’ve also announced some strategic board updates, a new CFO with Bruce Morrison joining the company and Spencer Dredge moving to Chief Operating Officer. Can you give us a bit more insight into these appointments? A3: We’ve been trying to do a lot since we disposed of the IT infrastructure back in June and at the centre there’s just really just myself and Spencer originally. Spencer’s done an amazing job in term so of that disposal and he’s got a really good skill set around making things happen and getting deals done. What we wanted to do was bring someone else into that senior team and we felt that by appointing Bruce as CFO, he can slot into that finance role quite quickly whereas it would be very difficult to replicate Spencer’s skill set if we were to bring someone in a COO into the business. So, what we’ve been able to do really is increase our capacity at senior level, so we’ve got a lot on the go in the coming year in terms of our plans driving the core business along. We’ve already indicated to the market that we’d like to make some more acquisitions but this group of the 3 of us now will hopefully give us the ability to make that happen. Bruce has got a lot of experience that he’s going to bring to bear, he’s spent 12 years or more with Bond International Software when they were making the transition from licence to SaaS-based revenue. So, he’s hit the ground running. It’s very exciting for everyone, big change obviously for us as a Board but I think it’s a good evolution. We’ve also appointed two advisors to the Board, I think we’re very lucky to have with us, one is a chap called Ben Kepes who’s based out in New Zealand. Ben is very well respected in the whole cloud computing and SaaS environment, he’s a common speaker at conferences in West Coast US and New Zealand and Australia he’s been actively involved in SaaS businesses and growing those from start-up right through. He’s also well respected around the investor community, again in West Coast US and in New Zealand. Having someone physically located in other parts of New Zealand, he’s in Christchurch, about an hour’s flight away from where our office is in Tauranga, Ben gives us another set of hands down there so if the business there needs support, he can parachute in quite quickly rather than wait for one of us to get there from the UK which is at least a day and a half away. So, I think that’s great and we’re very flattered to have him on board. The other hire then is a guy called Steven Rodriguez and Steven, again, comes with a great pedigree, in his previous life he was at senior level at various HCM businesses including Ceridian. The role that’s relevant to us really is he spent about 5 years as a COO of Asure who are one of our big competitors in the US and he’s got great market insight, great knowledge of what it’s like on the ground in this market in the US. For us, we can see from the growth that we’re receiving, we’ve already got some customers there for Smartspace, SwipedOn is the US’s fastest growing market. So, having someone in country, knows the industry, knows the space, I think is great so we’re again, delighted to have Steven on board. Q4: Finally, in terms of news flow, what should investors be looking out for for over the next period? Should we expect a trading update in February as I believe Smartspace Software’s year-end is January 2019? A4: That’s right. Normally, we put out a trading update, normally, I think it’s mid-February, obviously we’ve got a less complicated business than we had in the past when we had the IT infrastructure business. Then, as you would expect, we’ve got our noses down and tails up chasing new business and our search for acquisitions will continue so as and when we can do deals and we have deals that are announced, we will put out the news into the relevant channels. So, hopefully an exciting time ahead and a lot of stuff on the go is the general message I’d give people. 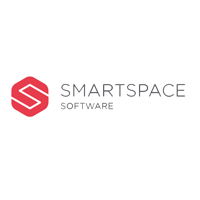 Smartspace Software PLC (LON:SMRT), together with its subsidiaries, provides software, technology, and services in the smart buildings and commercial spaces market in the United Kingdom.